Specific information for our Canadian customers. Will I be subject to any taxes or custom duties? What countries does Midwest Broomball ship to? CANADIAN CUSTOMERS - First Class International starts at $5.10 USD for a 0.45 kg package. USPS First Class International to Canada usually takes about 11-15 business days for delivery (It is possible your order could take up to 30 days for delivery). If you need a faster delivery method please evaluate our USPS Priority Mail or UPS services. Please remember that USPS tracking is much slower at updating and isn't as detailed when compared to UPS. Additional information about importing your order can be found at the Canada Border Services Agency . Please read all of the information on this international page as some of the information may answer questions you may have. Be aware that UPS does charge a $30+ brokerage fee that is collected at delivery in addition to taxes and custom duties. 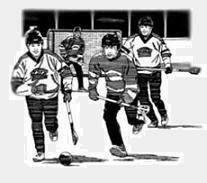 Midwest Broomball suggested international shipping method is USPS Priority Mail, which allows our customers to avoid any brokerage fee's. International orders placed by 4:00 PM EST (UTC - 5) are shipped within one business day from our Vernon, Indiana USA mailing address. Transit times vary from 4-30 days depending on your shipping method and destination. Please remember that USPS tracking is much slower at updating and is not detailed when compared to UPS services. International customers may be required by their country to pay taxes and custom duties before they receive their package. These rates vary by country. Please take note of this extra cost, as it is not included with your shipping charges. Midwest Broomball is not responsible and can not advice regarding custom duties and taxes. For specific information, please consult with your local government import office.